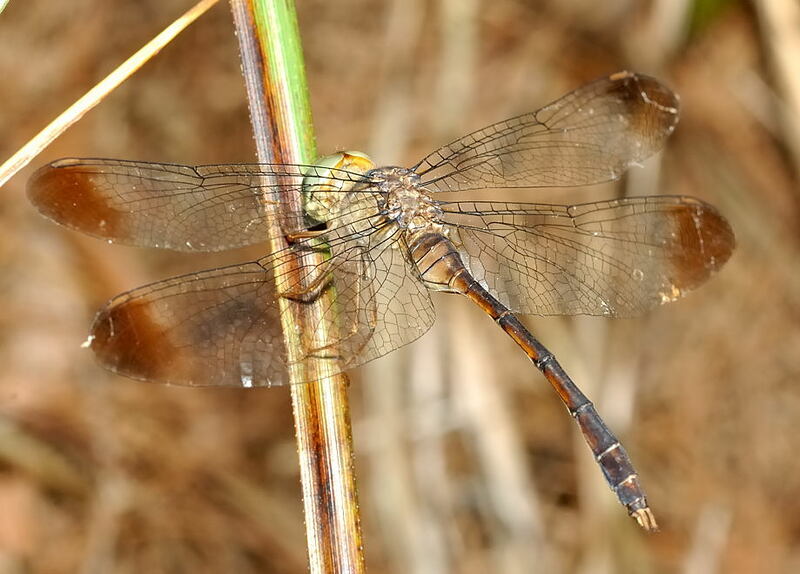 This page contains information and pictures about Short-tailed Duskdarter Dragonflies that we found in the Brisbane area, Queensland, Australia. They are also known as Stout Duskdarters. 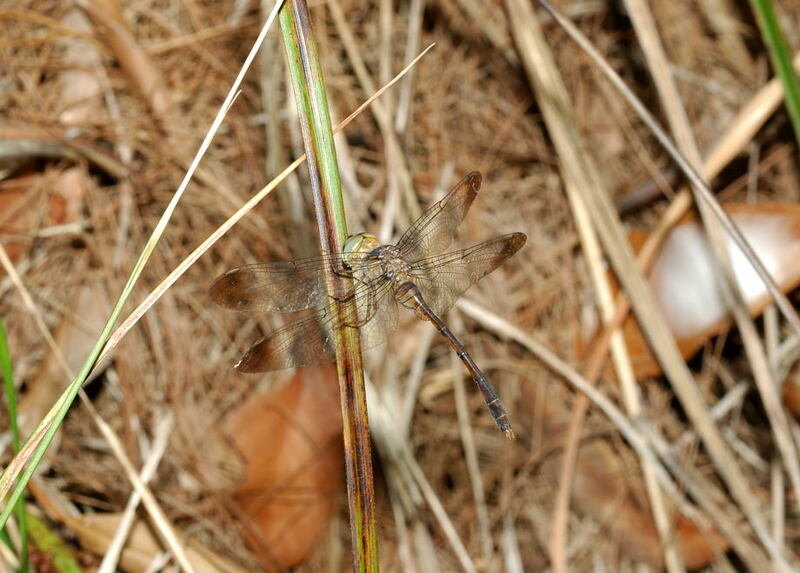 We found those Short-tailed Duskdarter Dragonflies on Moolabin Creek in Brisbane. They are one of the crepuscular species. Unlike most other dragonflies that are active in sunny day, they are active only on evening when the sky is about to turn dark. At that time most other dragonflies and damselflies are at rest and hiding. 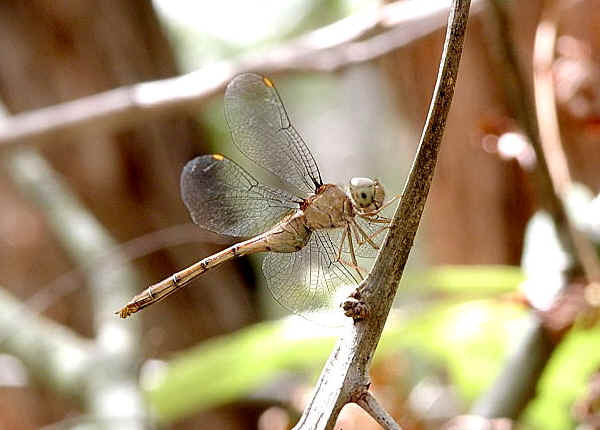 They fly very quickly along the creek, chasing with the Australian Emerald, which are the only other dragonflies remain active at that time. 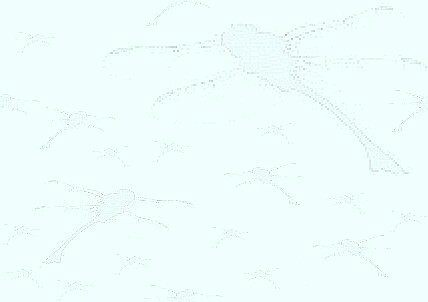 Sometimes in a dull cloudy day, they can also be seen flying on the waters. We also found them hiding among dense vegetations in bush near Tingalpa Reservoir, Jan 2009. The Short-tailed Duskdarter Dragonfly is dark brown in colour, with dark colour on all wing tips. Their eyes are green in colour. They do no look like skimmers although they are in FAMILY LIBELLULIDAE. Their abdomen is slender and longer than their wings. They do not perch but like to hover. We noticed that their middle ocelli, or the middle simple eye is well develop, this could help them to fly in dim light condition. The picture above is the female Short-tailed Duskdarter. It is in paler colour than male. 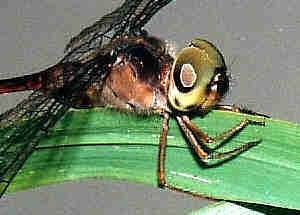 The extreme constriction of segment three is the characteristic of this dragonfly. We observed that their females lay eggs alone by quickly dipping their abdomen on the water surface. 2. 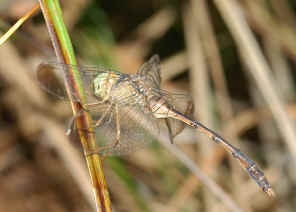 A Field Guide to Dragonflies of South East Queensland - Ric Nattrass, 2006, p109. 3. 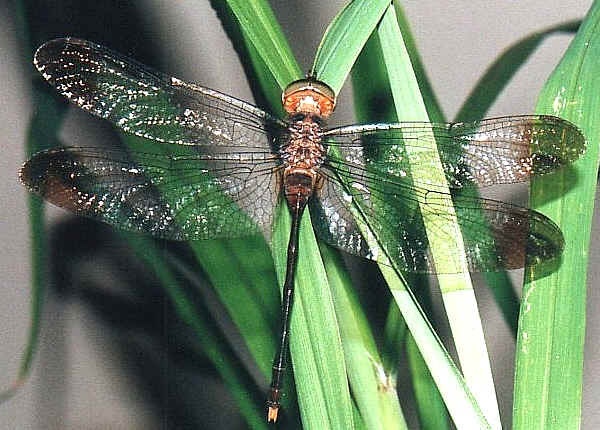 The Complete Field Guide to Dragonflies of Australia - CSIRO, Günther Theischinger and John Hawking, 2006, p290. 4. 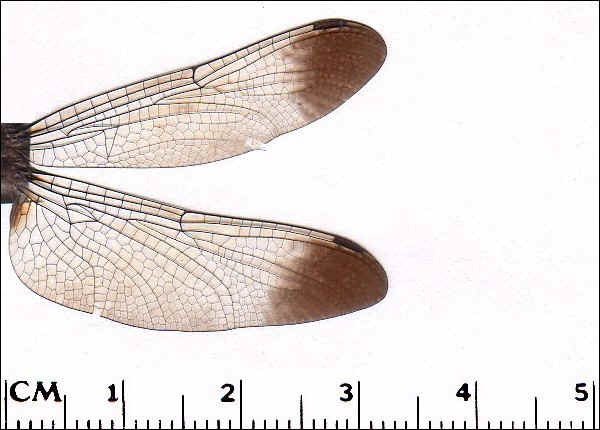 Australian Crepuscular Dragonflies - Deniss Reeves, Austrolestes-Newsletter of Australian Dragonfly Society, #8, 2003. 5. Zyxomma elgneri, Short-tailed Duskdarter - Deniss Reeves, Austrolestes-Newsletter of Australian Dragonfly Society, #11, 2006. Last updated: February 27, 2009.